When dangerous conditions exist in an apartment building in Brooklyn, it is up to the property owner to ensure they are corrected. If they are not and you become injured or ill, you may have grounds upon which to take action against any and all negligent parties. Unsafe property claims are considered matters of premises liability, and an experienced premises liability attorney can help you pursue the compensation to which you are entitled. If you are a tenant who has been injured or became ill in your apartment, we can help. 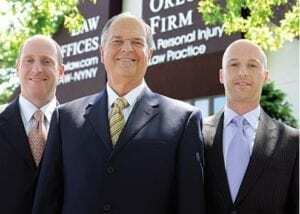 The Orlow Firm has been providing premises liability and personal injury representation to New York residents for more than 30 years. We use our knowledge and insight into apartment building accident claims when explaining to you the process of filing a lawsuit or claim. Whether you have sustained a spinal cord injury, brain injury, broken bones or have suffered through the wrongful death of a loved one, our attorneys work to protect injured people and those who lost a loved one in a fatal accident. We have achieved many favorable results in apartment building accident and other premises liability cases, including one where we recovered over $2.8 million for a man who fell into an open elevator shaft at his apartment building. Call (646) 647-3398 or email us today to schedule a free consultation regarding your apartment building accident claim in Brooklyn. We also help clients in Brooklyn, Bronx, Brooklyn and Manhattan and throughout New York. If you have been the victim of dangerous conditions in your apartment building, you have rights. We can help you hold the property owner and other negligent parties responsible for the injuries you have suffered. Call The Orlow Firm at (646) 647-3398 to schedule your free consultation. You can also submit a contact form and we will be in touch with you promptly.